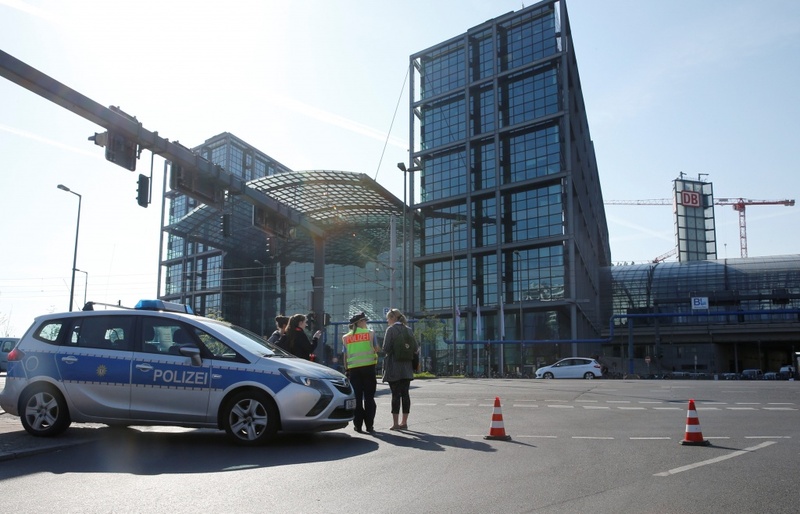 Some 10,000 people – including residents, hospital patients and office workers – were evacuated from 9 a.m. from buildings within an 800 metre radius of the bomb while experts performed the delicate operation. 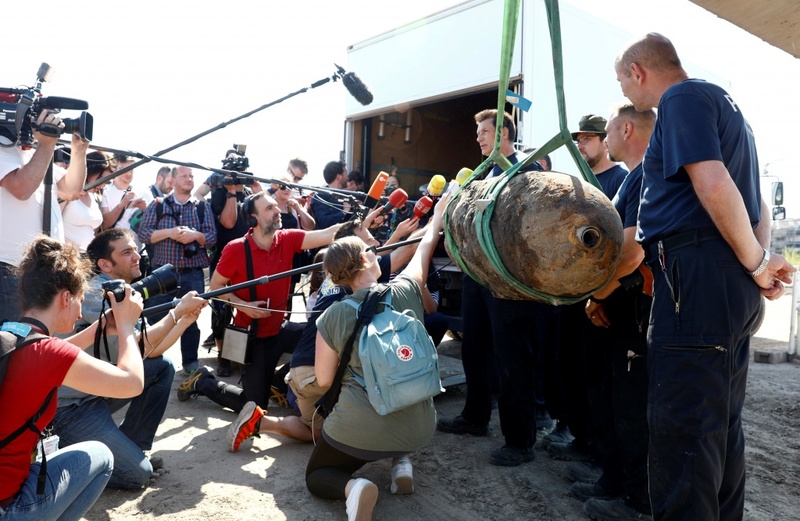 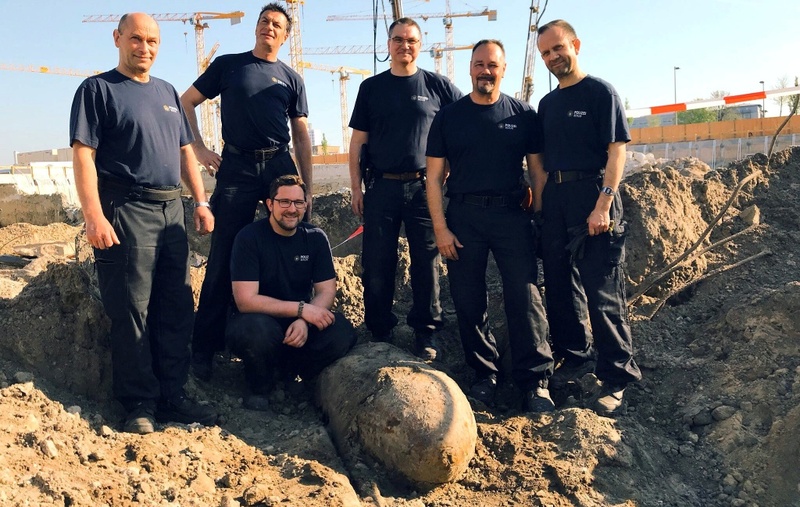 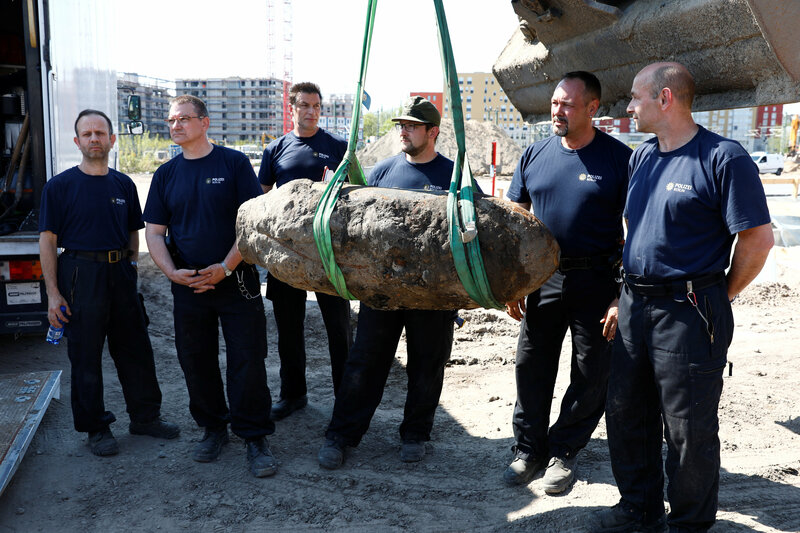 A bomb defusing team pose next to a 500-kilogram World War II bomb near the main train station in Berlin, Germany, April 20, 2018 in this handout photo posted by the Berlin Police on Twitter. 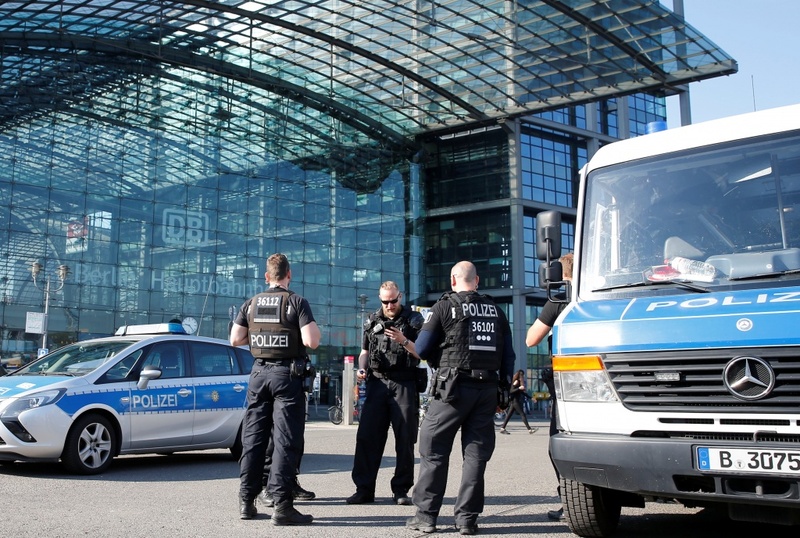 Courtesy @polizeiberlin_e /Twitter/Handout via REUTERS. 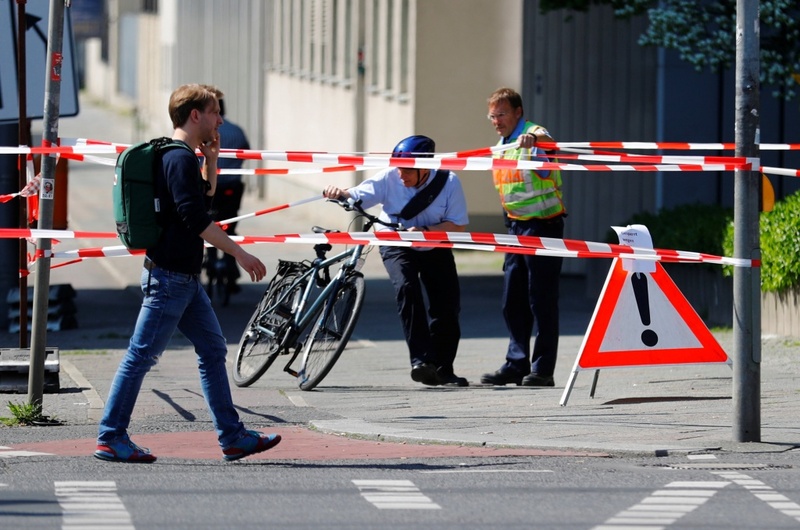 The gave the all the clear in the early afternoon and the city began getting back to normal. 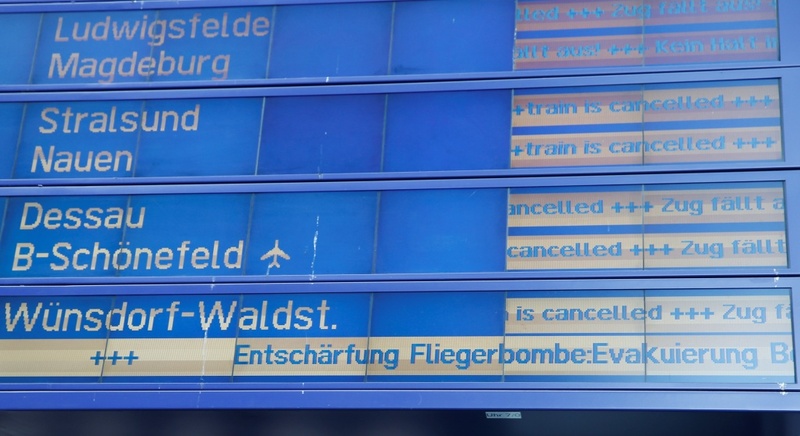 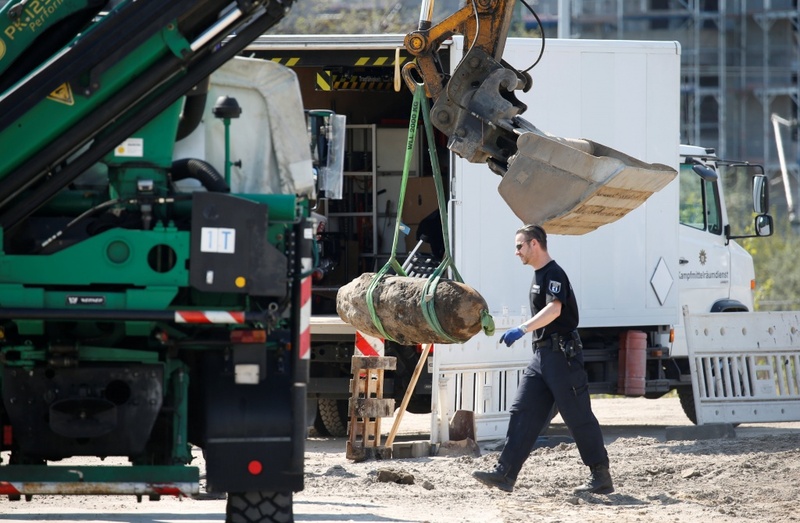 Last year some 60,000 people were evacuated from their homes in Frankfurt after a massive bomb dropped by Britain’s Royal Air Force was unearthed.